Where to start with Willie Nelson? The words don’t fit the picture, as he once said. He’s made more albums, played more sessions and done more gigs than probably anyone who ever lived and yet at 80 he is still doing all of the above at a time when most folks would be nodding off at the old folks home or at best enjoying a leisurely round of golf. Nelson’s albums have sold worldwide and sales surpass 60 million. His awards cabinet groans under the weight of his achievements and he has enjoyed what seems like several careers in tandem – with books, movies, eco-activism, festival arrangements and an ever expanding family to keep him busy when he’s not knocking out the classics like ‘Crazy’, ‘Funny How Time Slips Away’ and ‘Still Is Still Moving To Me’. He is on the pantheon where the all time greats reside – the Beatles, Dylans and Beach Boys of the musical universe and yet to his fans (fanatics might be a better phrase) he is more important to them than anyone else because he seems to speak to us all of the ordinary events in everyday life and do so with the poet’s eloquence. To borrow a phrase from his 1974 concept album, Willie Nelson’s career has been punctuated by Phases and Stages. He started getting paid to play aged ten strumming Texan polkas in Mexican beer joints with the John Raycheck Band in hometown Abbott, TX. Willie Hugh was a late developer, singing in honkytonks around Houston and working as a DJ until his late twenties. Despite writing songs like ‘Crazy’, ‘Funny How Time Slips Away’ and ‘Hello Walls’ he was faced by rejection and frustration and once lay in the road outside Tootsies Orchid Lounge in Nashville praying – half-heartedly - for a passing truck. Others fared better with his material. Famously, Patsy Cline’s version of ‘Crazy’ has been tagged the biggest jukebox hit of all time. After recording a sequence of unsuccessful albums for RCA's country factory Willie found redemption at Atlantic and solace within the burgeoning ‘outlaw movement’ where kindred types Waylon Jennings, Jerry Jeff Walker, Tompall Glaser, Lee Clayton and all the other good-hearted bad-asses carved out a southern riposte to long hair rock and made country music sound vital and look fashionable. Nelson could now be a rebel figure on Shotgun Willie or an experimental philosopher on Red Headed Stranger. He still found time to revisit the golden age of Stardust, inventing his own iconography thanks to the Dripping Springs Picnics, Farm Aid and an image to match his wandering gypsy persona. Despite a catastrophic run-in with the American tax authorities (a disaster he turned to triumph on The IRS Tapes) Willie mastered his own destiny. His Family Band shows are marvellous pockets of tranquillity that allow quiet charisma, matchless phrasing and endless reserves of wisdom to shine. He is a true showman who got smart and now hovers on high. It’s Willie’s world …we’re just renting space. Our liaison with Willie though begins with two discs we reckon are up there with his acclaimed vintage classics – Spirit (1996) and Teatro. These marvels showcase Nelson’s lovely Spanish guitar playing, use of Mariachi rhythms and the gospel infusions he creates with piano playing sister Bobbie. Spirit is a thing of wonder, a sparse four-piece affair recorded at his Pedernales Studio with bassist Jody Payne and fiddler Johnny Gimble. A deeply personal often heartbreakingly intimate account of mortality and deep love the album includes must hear tracks ‘Your Memory Won’t Die In My Grave’ and the defiant ‘We Don’t Run’. Teatro (1998) is quite different. Recorded with producer Daniel Lanois this features Emmylou Harris, long time harmonica pal Mickey Raphael and various New Orleans luminaries including Cyril Neville on congas. As is often the case with Willie he manages to reinterpret old favourites such as ‘Three Days’, ‘I Never Cared For You’ and ‘My Own Peculiar Way’ with a sensitivity that reduces many to pulp. A sparse, atmospheric piece when listened to as a whole this is another splendid introduction to latter-day Willie. Milk Cow Blues (2000) is an animal of a different hue again. Featuring contributions from B.B. King and Dr. John this disc matches a few old school gems from the Nelson songbook – ‘Funny How Time Slips Away’, ‘Night Life’ and ‘Wake Me When It’s Over’ – with choice blues cuts like ‘The Thrill Is Gone’, ‘Fool’s Paradise’ and the jaunty ‘Sittin’ On Top of the World’. The following year’s Rainbow Connection is a Nelson family affair since some of his children provide the bloodline harmonies. This disc slipped through the net on release but now stands revealed as a minor masterpiece with splendid renditions of Mickey Newbury’s psych folk gem ‘Just Dropped In (To See What Condition My Condition Was In)’ and the neo-Vaudevillian ‘I’m Looking Over A Four Leafed Clover’ to remind one that Nelson’s tastes straddle all the decades of the 20th century. 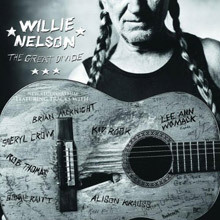 The Great Divide (2002) is a diets and collaborative affair (there are many of these in the canon) which finds space for Willie to work with Rob Thomas from Matchbox 20, Kid Rock, Sheryl Crow and Bonnie Raitt. An eclectic mix for sure, you’re bound to find plenty to groove on during ‘Time After Time’ – yep, the Cyndi Lauper song - and the title track, co-penned with Jackie King. Midnight Rider is yet another departure, a rockier, denser disc that travels the American country from Jimmy Day’s ‘The Way You See Me’ to The Allman Brothers Band’s title cut where he duets with Toby Keith. Just as a reminder there’s also the excellent Nelson cut 'Texas'. Maintaining his bewildering diversity Nelson’s You Don’t Know Me: The Songs of Cindy Walker is a labour of love disc produced by Fed Foster that pays tribute to female Western Swing songwriter who worked with Tommy Duncan and Eddie Arnold. As such it’s a 24 carat slice of genius since it opens Walker’s world right up for a modern audience, one of the traits of the true artist. Whether it’s because he wants to stay fresh working with the younger whippersnappers, or more likely they queue up to receive his blessing, we now find Nelson releasing Songbird which is produced by Ryan Adams who also appears here with his band The Cardinals. The modus operandi here is to go for the spare style of a White Stripes sound (something Willie invented way back when) and the project tackles some seriously far ranging material, from the Grateful Dead’s ‘Stella Blue’ and Gram Parsons’ ‘$1000 Wedding’ to Leonard Cohen’s ‘Hallelujah’, as well as a slew of Nelson numbers for good measure. It’s an oddity but well worth a second listen. Moment of Forever (2008) throws more peculiar paint at the canvas. The title track is by Kris Kristofferson, there’s a version of Dylan’s ‘You Gotta Serve Somebody’ and a typically gut wrenching example of well observed nostalgia in Buddy Cannon’s ‘When I Was Young and Grandma Wasn’t Old’. Fleshing out our Willie wonderment may we also offer the live in concert Willie Nelson & Friends – Stars & Guitars (2002) which features a host of top flight guests like Keith Richards on a version of the Rolling Stones’ 'Dead Flowers', a duet with Aaron Neville on the great standard ‘Stardust’ and a gorgeously authentic take on Rodney Crowell’s ‘Till I Gain Control Again’ with Emmylou at Nelson’s side. Best of all perhaps here’s another chance to hear Willie’s Family Band book end pieces – the gauntlet on the ground live opener ‘Whiskey Rover’ and the self-explanatory ‘On The Road Again’ – for when is he not. To add real grit we’ve also got the Johnny Cash, Willie Nelson VH1 Storytellers where the two ancients swap songs and jokes and patter to glorious effect. Produced by Rick Rubin the stories being told include ‘Drive On’, ‘Me and Paul’ and the genius double whammy of ‘Always On My Mind’ and ‘Folsom Prison Blues’. Totally recommended, as are ‘Run That By Me One More Time’ and ‘Last of the Breed’ where Nelson teams up with his old hombre Ray Price and Merle Haggard with accomplices plucked from the very fabric of country greatness – namely Kristofferson, Buddy Emmons and The Jordanaires. Those who like it cut pure and diamond sharp will adore these discs. Impossible as he is to wrap up and deliver in a box this load of lovelies should still make an ideal present to yourself. We’re sure that once you get the Willie addiction you will be permanently hooked. There’s no other artist like him and there never will be. 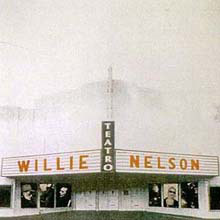 Teatro is a studio album by Willie Nelson, released in September 1998 via Island Records. Teatro is noted for its spare, yet drum-heavy and atmospheric sound, credited to Lanois, who also produced Harris' breakthrough alternative country album, Wrecking Ball. Teatro is noted for its spare, yet drum-heavy and atmospheric sound, credited to Lanois, who also produced Harris' breakthrough alternative country album, Wrecking Ball. 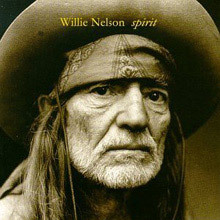 Spirit is an album by country music singer Willie Nelson. The album differs from Nelson's other albums because of the use of fewer instruments (two guitars, piano, fiddle) and has a more classical/Spanish influence than others. Nelson's sister Bobbie plays piano. 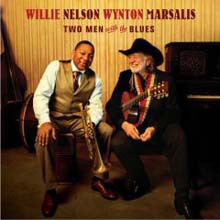 Two Men with the Blues is a live album by multiple Grammy Award winners Willie Nelson and Wynton Marsalis. This album was released on July 8, 2008 on the Blue Note label. 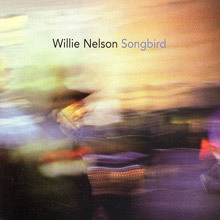 Songbird is an album by Willie Nelson released by Lost Highway Records on October 31, 2006. It was produced by contemporary country rock musician Ryan Adams. Adams, along with his band The Cardinals, performed on the album’s eleven tracks. 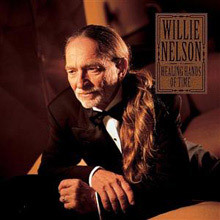 Healing Hands of Time is a 1994 album by country singer Willie Nelson. The Great Divide is an album released in 2002 by American country music singer Willie Nelson. It contains several duets and musical collaborations with artists such as Rob Thomas of Matchbox Twenty, Lee Ann Womack, Kid Rock, Sheryl Crow, Brian McKnight, and Bonnie Raitt. The album produced two chart singles in "Mendocino County Line" and "Maria (Shut Up and Kiss Me)", which respectively reached #22 and #41 on the Hot Country Songs charts. Also included is a cover of "Just Dropped In (To See What Condition My Condition Was In)", previously a hit for Kenny Rogers and the First Edition. The songs "Mendocino County Line," "Last Stand in Open Country," and "This Face" were co-written by Bernie Taupin, the lyricist best known for his collaborations with Elton John. 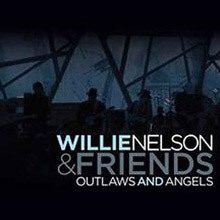 Outlaws & Angels is an album by American country and western musician Willie Nelson. It was released on September 21, 2004, by the Lost Highway label. 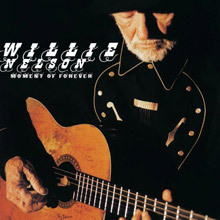 The performances come from a 2004 Willie Nelson Special aired on cable television; guests include many well-known musicians. 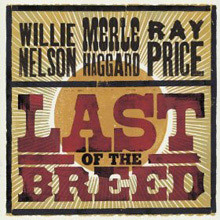 Last of the Breed is a two-disc album by American country music artists Willie Nelson, Merle Haggard and Ray Price. This album was released on March 20, 2007 on the Lost Highway Records label. This album was #33 on Rolling Stone's list of the Top 50 Albums of 2007. 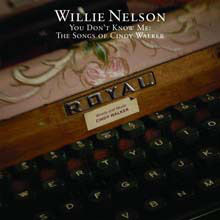 You Don't Know Me: The Songs of Cindy Walker is an album by American country and western musician Willie Nelson. It was released on March 16, 2006, by the Lost Highway label. All tracks on the album were written by Cindy Walker.